Yirendai Ltd - ADR (NYSE: YRD) shares are up 7 percent after dfalling 11 percent in the regular trading session. Chegg Inc (NYSE: CHGG) shares are up 8 percent after reporting a third-quarter earnings beat. Adjusted earnings came in at 7 cents per share, beating estimates by 4 cents. Sales came in at $74 million, beating estimates by $5 million. The company also raised FY18 guidance. Hi-Crush Partners LP (NYSE: HCLP) shares are up 5 percent after falling 5 percent during the day. 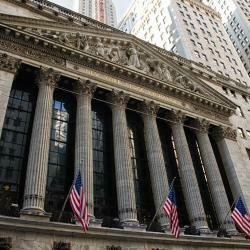 Elevate Credit Inc (NYSE: ELVT) shares are down 21 percent after reporting a third-quarter earnings miss. 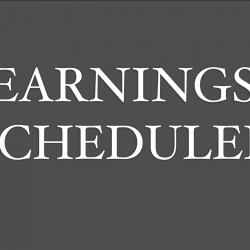 Earnings came in at $(0.10), missing estimates by 23 cents. Sales came in at $201.48 million, missing estimates by $350,000. Texas Roadhouse Inc (NASDAQ: TXRH) shares are down 11 percent after reporting a third-quarter earnings miss. Earnings came in at 40 cents per share, missing estimates by 15 cents. Sales came in at $594.595 million, beating estimates by $845,000. Comps were up 5.5 percent. The company says it sees FY18 and FY19 comps growth.